Classmates often become close during the years of working toward the same degree. But 23 recent University of Toledo students already had a lot in common before starting work on their MBA degrees three years ago: Almost all of them worked at the same company. 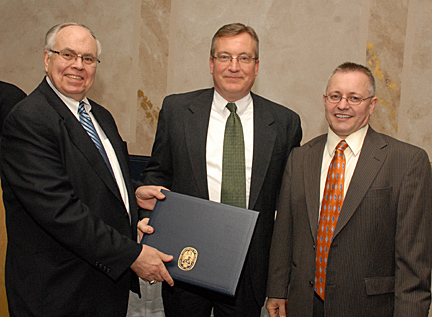 Rich Menzel, vice president of human resources at North Star Bluescope Steel, center, posed for a photo with Ray Peters, chief operating officer of North Star Bluescope Steel, right, while receiving his MBA from Dr. Thomas Gutteridge, dean of the College of Business Administration. “The culture of our facility is one where employees continue to grow and learn throughout their careers,” said Rich Menzel, vice president of human resources at North Star Bluescope Steel in Delta, Ohio. Cost of tuition and books are covered, and core undergraduate college classes were offered on-site for several years. The schedule offered one course at a time for eight weeks, meeting on Mondays from 4 to 9 p.m. If employees had scheduling issues, they would do a shift exchange with another employee to work it out. Approximately 25 people, including six people from the area who did not work at North Star, started the program, and after three years, 23 people graduated in December. “The big picture is that the MBA program at North Star is an example of what we are trying to do so people become greater and greater assets to the company,” Menzel said. With only two courses to go and not wanting to deal with all the paperwork of transferring, he was pleased with the opportunity to remain part of the North Star cohort, still participating in the Delta, Ohio, classes via phone and videoconferencing. Students: It’s time to vote. Check out the finalists for the Original Gino’s Pizza Commercial Contest and cast a vote for your favorite spot. 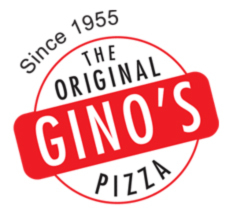 UT students interested in advertising, video production or just being creative submitted 30-second television spots that promoted the Original Gino’s Pizza to a Toledo audience. Submissions were accepted through the end of January and judged by UT Athletics, the UT Marketing Department and Gino’s Pizza. Now students will decide the winner. Watch the entries by contest finalists and participate in the online poll, which runs until 11:59 p.m. Wednesday, Feb. 25. The commercial that receives the most votes will air as the primary spot locally for Gino’s Pizza, and the winning team will dine on free Gino’s Pizza for one year. If you are a UT student and would like to vote, visit www.utoledo.edu/utcommcenter/ginos. It’s been among the most-asked questions since the Medical University of Ohio and The University of Toledo became one. When will vacation accruals match between campuses? University leadership is now able to answer that question. Effective March 28, a new vacation policy, designed to increase parity between non-union employee groups, will take effect. Members of bargaining units will continue to operate under vacation time accrual rates as outlined in their agreements, but non-union employees will accrue vacation at the same rate, regardless of campus of origin. Unclassified salaried, administrative contract and limited contract employees will earn 22 paid vacation days per year, or 6.77 hours per pay period, with a maximum total accrual of 352 hours. Classified and hourly non-union employees fall under a different set of accrual rates, based on years of service. Faculty administrators and non-union faculty members with year-round assignments will earn 24 days per year, with a maximum based on their date of hire. Extensive benchmarking of other Ohio institutions was conducted before a final number of vacation days was decided upon. The University is allowing employees who are currently carrying vacation balances beyond the maximum hours one year to use their overage. Details on accrual rates, maximum accruals, vacation payouts and related information for all employee groups are available on the Human Resources Web site at www.utoledo.edu/depts/hr/main/benefits/vacation.html. Britney McIntire, a senior in the College of Arts and Sciences, uses mixed-media art to represent different aspects of communication. Her exhibit, “Conversational Dust,” is on display through March 12 in the Catharine S. Eberly Center for Women, located in Tucker Hall on Main Campus. Gallery hours are Monday through Friday from 8:30 a.m. to 5 p.m. In high school, McIntire decided to pursue a degree in fine arts after attending a juried art show titled “Focus” that featured works by high school artists at the Center for the Visual Arts on UT’s Toledo Museum of Art Campus. 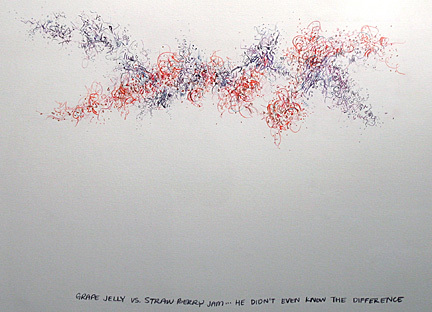 She uses simplicity and patience as a basis for all her work. Each piece in “Conversational Dust” represents a particular conversation heard by McIntire, who focused mostly on the details of exchange. Even though there are 18 pieces on display, McIntire considers the exhibit just the beginning of her series. After graduation, McIntire plans to pursue a master of fine arts degree and continue creating art for her collection. For more information on the free, public exhibit, call the Center for Women at 419.530.8570. The University of Toledo Medical Center is introducing a program that puts the skills, knowledge and abilities of clinical pharmacists directly on patient-care units. Five pharmacists — Sherry Scotton, Paul Samenuk, Jeanette Woodruff, Lorne Roby and Bob Wright — have been assigned to inpatient floors, placing them in the middle of patient-care activities, according to Russell Smith, pharmacy operations manager. Conferring about a patient care plan are, from left, Deana Sievert, medical coronary care unit (MCCU), intermediate coronary care unit (ICCU), surgical intensive care unit and remote cardiac monitoring station nursing director; Jackie Bury, MCCU/ICCU lead nurse; Russ Smith, pharmacy operations manager; and Sherry Scotton, clinical pharmacist. The pharmacists are providing services on the hospital’s third, fourth, fifth and sixth floors. Plans call for the program eventually to be extended to the surgical intensive care unit, Emergency Department and surgical suites, and to operate on weekends if funds become available to hire additional pharmacists. Smith used the term “decentralized pharmacy services” to describe the new initiative that has pharmacists stationed on the units Monday through Friday from 7 a.m. to 7 p.m. 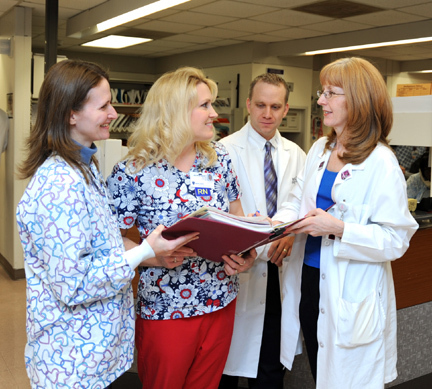 They review and verify physicians’ medication orders; answer questions from physicians, nurses, therapists, nutritionists and other members of the health-care team; provide therapeutic drug monitoring; note allergies and potential adverse medical interactions; and perform medication reconciliation. In the past, Smith explained, hospitalized patients were served from the hospital’s central pharmacy, located on the ground floor and isolated physically from patient-care areas. Physicians’ written prescription orders were submitted via fax. Now physicians fill out prescription orders that are picked up by pharmacists throughout the hour. They first screen and approve the orders on the floor — looking for sound-alike and look-alike medications or omissions that others may miss or dosages that don’t seem right — and then electronically enter it into the patient’s profile in a computer. Within seconds of approval, nurses have immediate access to computerized medication tracking and dispensing cabinets located on each nursing unit and used to distribute hundreds of medications. The process cuts the time getting prescribed medications to patients, which is critical because patients’ medication needs often rapidly change. Smith said that a major advantage of having pharmacists on the floors is the opportunity for physicians, residents and nurses to quickly consult one-on-one with them. Because they are experts in medication safety and effectiveness, pharmacists can quickly address potential drug interactions and suggest effective medication alternatives. Tavormina hopes the new program will encourage departments throughout the hospital to tap into pharmacy as a resource. UT pharmacists are well-trained in clinical issues and can assist nurses and physicians in day-to-day patient care, he added. Having pharmacists working on patient floors not only improves care, it also improves pharmacists’ job satisfaction, Smith noted. A seven-month pilot study led by Monica Nayar, a pharmacy practice resident, was conducted on a third-floor nursing unit last year to work out some kinks and to obtain feedback from nurses. As a result of the enthusiasm and support expressed by third-floor nurses, it was decided to expand it to other units. Deana Sievert, nursing director for four hospital care units, applauded the new program. Nurses are making fewer phone calls to the pharmacy because they can communicate with pharmacists directly, saving time, she noted. The central pharmacy continues to serve as the hub for preparing more sophisticated, complex therapies such as sterile products, gene therapies and chemotherapy. The University of Toledo, in cooperation with Yanshan University, is offering students the opportunity to study-abroad this summer in China. The program titled “A Rich Cultural Immersion Experience” will allow students to travel to various places in China and earn up to six transferable college credit hours. 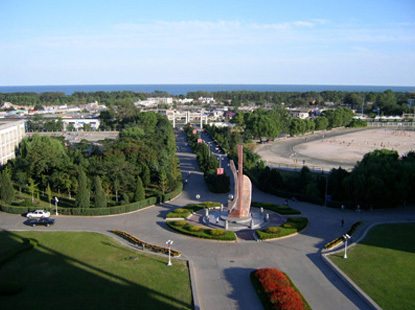 Students will spend the first 16 days at Yanshan University in Qinhuangdao learning the Chinese language, culture and economic dynamics. The last week will take students to Xi’an and Beijing to learn and experience Chinese history. The program will run from July 14 to Aug. 7. The cost of the program, including tuition, round-trip airfare, local travel, accommodations and meals, is approximately $2,500. “Secretary of State Hillary Clinton says that ‘Washington’s relationship with China will be the most important bilateral relationship in the world in this century,’” said Dr. Gene Chang, director of the Asian Studies Institute and professor of economics. “This is a wonderful opportunity for our UT students to be physically in China to study this relationship. It is an effective way to learn. Students will not only observe the true China with their eyes, but also learn its culture and history firsthand. Students will have the chance to see the Great Wall and the Forbidden City in Beijing, the beach and port in Qinhuangdao, and Terracotta army in Xi’an, he added. Officials from UT and Yanshan University signed a memorandum of understanding in 2007 to guide the formation of reciprocal campuses. Students can reduce their costs by applying for a travel grant from the Study-Abroad Program. Applications for the grant must be submitted by Friday, Feb. 20, to the Office of Study Abroad in Rocket Hall Room 1830 on Main Campus. For more information or to apply, contact Chang at gene.chang@utoledo.edu or 419.530.4677 or Wenli Zhang, instructor in Chinese, at wenli.zhang@utoledo.edu or 419.509.0824. Diagnosis of a rare medical condition has landed a University of Toledo pediatrician in the Feb. 12 issue of the prestigious New England Journal of Medicine. 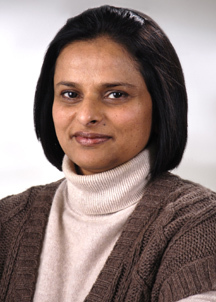 A 13-year-old boy with swelling and pain on the left side of his face was referred for suspected infection to Dr. Deepa Mukundan, assistant professor and specialist in pediatric infectious diseases. CT scan images revealed air in a salivary gland as the cause of his problem, which was confirmed by blood tests. 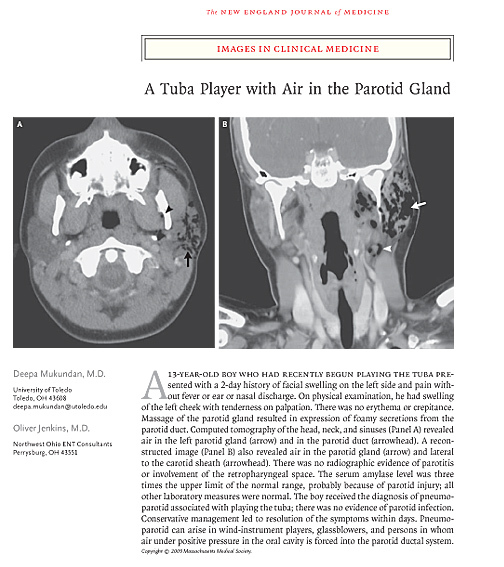 Those CT scans and a summary of the case were featured in the New England Journal of Medicine. U.S. News and World Report then picked up the story. Mukundan said the rare condition, known as pneumopartoid, is most often seen in musicians who play wind instruments and in glassblowers. The boy recently had started playing the tuba. The prescription? The boy had to give up the tuba, at least for a while, to allow the air in his gland to escape over time. However, some months later he developed an infection and the gland had to be removed. The University of Toledo College of Engineering has several activities lined up to celebrate National Engineers Week, Feb. 16-22. • Pop Bottle Rocket Launch Contest — This competition will challenge students to create an air-pressure rocket using a two-liter or 20-ounce pop bottle to travel the furthest distance in a straight line. Triangle Fraternity will sponsor the event outside the main doors of Nitschke Hall in the courtyard on Main Campus from 3 to 5 p.m.
• Egg-Drop Contest — Students will test their small, lightweight containers they design to protect a raw egg dropped from successive heights. The event will take place on the first floor of Nitschke Hall from 2:30 to 4:30 p.m. and is sponsored by Triangle Fraternity and Phi Sigma Rho Sorority. • Engineer for a Day — Area high school students will meet in Nitschke Hall for lunch with local business leaders and UT faculty and staff. After touring the UT College of Engineering Complex, students will spend half a day shadowing a community engineer. • Toothpick Bridge Competition — Students will test bridges they have designed and built using toothpicks, white glue and other materials by adding weight until the structure fails. Bridges must have a minimum span of 10 inches and a mass less than 1.4 ounces. The contest is sponsored by the Society of Women Engineers and will be held from 3 to 4 p.m. in Nitschke Hall. • Egg Launcher Competition — Students will be given materials — newspaper, duct tape, toilet tissue, plastic bags, etc. — to design and construct a container that will protect a raw egg when launched from a trebuchet. Sponsored by the First-Year Rocket Engineers and the UT Engineers Council, the contest will take place from 3 to 5 p.m. in Nitschke Hall. • Rube Goldberg Competition — Students will compete to see who can construct the most creative and complex contraption to replace an incandescent light bulb with a more energy-efficient light-emitting design. The contest will be held at 5:30 p.m. on the first floor of Nitschke Hall on Main Campus. For more information on the events, contact the UT College of Engineering at 419.530.8000. Marcia King-Blandford has been named assistant vice provost in the Office of the Provost and Executive Vice President for Academic Affairs. In her new post, King-Blandford, who also is an associate professor of general libraries, will report to Dr. Penny Poplin Gosetti, interim vice president for academic innovation, and work on curriculum management, particularly transfer and articulation issues and compliance. Her appointment was effective Dec. 15. She most recently worked part time on curriculum issues before the 2006 merger between UT and the Medical College of Ohio. Ohio has extensive articulation agreements that enable students to transfer credits from the two- and four-year schools to most of the state’s four-year universities and colleges. The agreements ensure that four-year institutions like UT don’t accept credits from community colleges or other universities if courses fall short of certain academic and learning outcomes standards. The agreements are important because Ohio is looking to state universities and colleges to help jump-start its economy — keeping industries up to date and developing innovations that can create new jobs by producing spinoff companies — and because keeping talented young students at home is critical, she said. King-Blandford, who is working on her PhD in higher education at UT, earned a master of library science degree from the University of Michigan and a master’s degree in educational leadership from Western Kentucky University. She has been a member of the UT faculty since 1991. 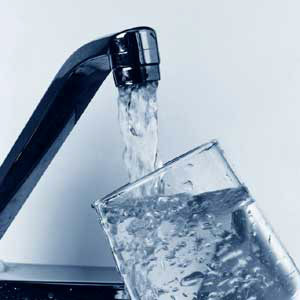 The Lake Erie Center will host a lecture titled “What’s in Your Water?” by Dr. Isabel Escobar, UT associate professor of chemical and environmental services, Thursday, Feb. 19, at 7 p.m.
She will talk about issues surrounding water scarcity and the need for newer water treatment processes, such as desalination. Escobar also will outline one of her latest research projects. Thursday, March 5: “Lake Erie Yellow Perch Numbers, Catchability and Management,” with Dr. Patrick Kocovsky, research fishery biologist for the Lake Erie Biological System. Thursday, April 16: “Criminal Enforcement of Federal Environmental Laws (Or the Lack of it),” with Frank Merritt, UT professor of law. The Lake Erie Center is located at 6200 Bayshore Road, Oregon, Ohio. For more information on these free, public events, contact Patricia Uzmann, secretary for the Lake Erie Center, at 419.530.8360.